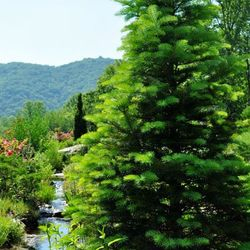 Beverly Hill's Nursery specialized in environmentally responsible landscape design that is both beautiful and sustainable. 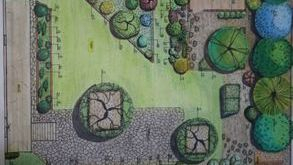 Beverly Hills Garden and Nursery would love to work with you to create the outdoor space you've always wanted. 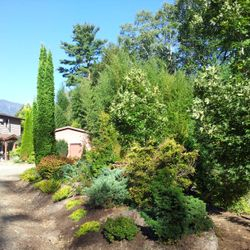 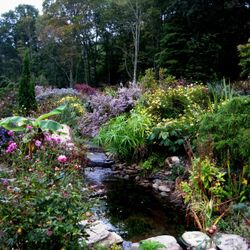 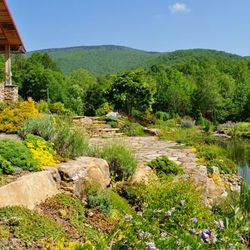 With over 20-years in business in Yancey County, North Carolina, we know what it takes to design creative landscapes that will thrive for years to come. 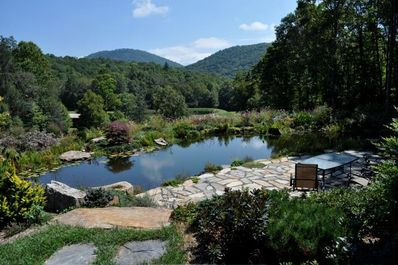 We believe in the value of environmentally responsible design that is both beautiful and sustainable. 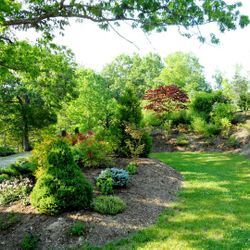 We offer everything from full service design and install landscaping services to design consultations and individual plants for the do-it-yourselfer. 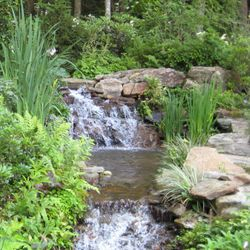 No matter how big or small your project, from pond creation to entrance gardensowe are here to help you realize your outdoor vision. 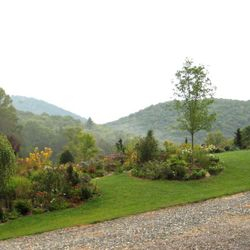 We are located in Celo, North Carolina but provide services for the Burnsville, Spruce Pine, Asheville and greater Asheville areas. 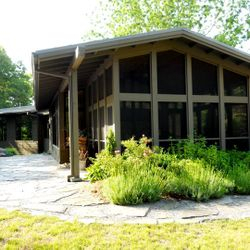 We have also recently worked on projects in Florida and Baltimore Maryland. 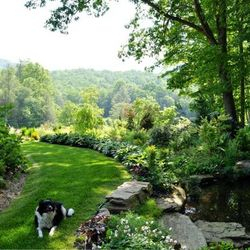 Sustainable landscaping is designed to be both attractive and in balance with the local environment, climate and the natural characteristics of the property while making efficient use of resources and energy. 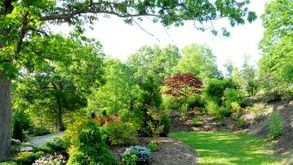 We specialize in design that is beautiful, functional, cost-efficient, colorful, environmentally friendly and maintainable. 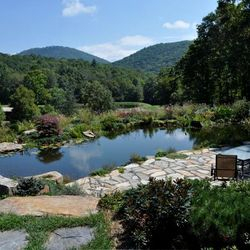 We transform landscapes to show year-round beauty while limiting inputs of costly resources, reducing waste and preventing water and soil pollution. 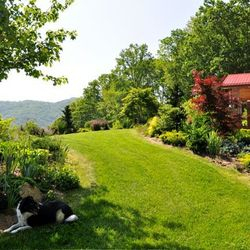 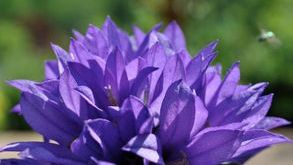 We also use plant selection, organic composting, pest control measures that minimize the use of chemicals and water-wise irrigation techniques in our designs and installations. 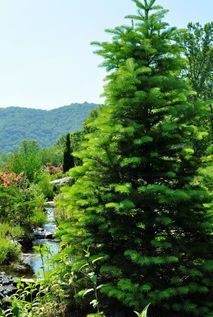 Click here to see Beverly Hill's Nursery's Pinterest for ideas!